Ben Godlby helps Trustee clients to navigate the complex and ever-changing legislative and regulatory pensions landscape. He has also advised employers on scheme mergers, closure to DB accrual and scheme wind-up. Ben has recently helped clients involved in corporate deals and advised on the establishment of life assurance and healthcare trusts. Ben enjoys the variety of working across a number of industries and sectors, while maintaining his focus on providing clear and commercially focused legal solutions. 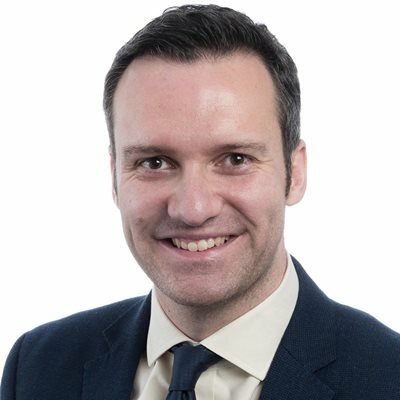 As a former journalist Ben is keen to use my communication skills to provide engaging, simple and accessible pensions law advice to clients. Working against the clock on a scheme merger to produce benefit specification tables and negotiating crucial merger deed amendments to tight deadlines. Advising a major client on the impact of the landmark IBM ruling. Living for six months in Guangzhou working across a wide-range of areas of law and helping to grow the firm's reputation and practice in China. Helping a public sector client to develop a suite of documents to use on future admission agreements following the introduction of new regulations for the Local Government Pension Scheme (LGPS). Designing and delivering training sessions for a Trustee client on areas of pensions law which they had specific concerns/questions about. Working against a tight deadline to draft the governing documents for new life assurance trusts for a client going through a complex corporate demerger. Advising an education sector client on a scheme merger, including benefit specification reviews, merger deed amendments and providing quick and effective solutions to potential problems. Providing quick and clear advice to a large client in the wake of the landmark IBM case in 2012 - a ruling which had a direct impact on the client's pension arrangements.